The victory of Richard Nixon in the US presidential election of 1968 swung on an “October Surprise”— a treasonous plot engineered by key figures in the Republican Party to keep the South Vietnamese government away from peace talks in Paris, costing thousands of American lives. There is growing evidence that the CIA was deeply involved in illegal domestic operations targeting Daniel Ellsberg, and in the Watergate break-ins during Nixon’s 1972 campaign, which ultimately led to his downfall. CIA Director Richard Helms’ relationship with Watergate burglar E. Howard Hunt was much closer than previously disclosed and the CIA agent inside the plot was sent on a double agent mission by American intelligence after he got out of prison. 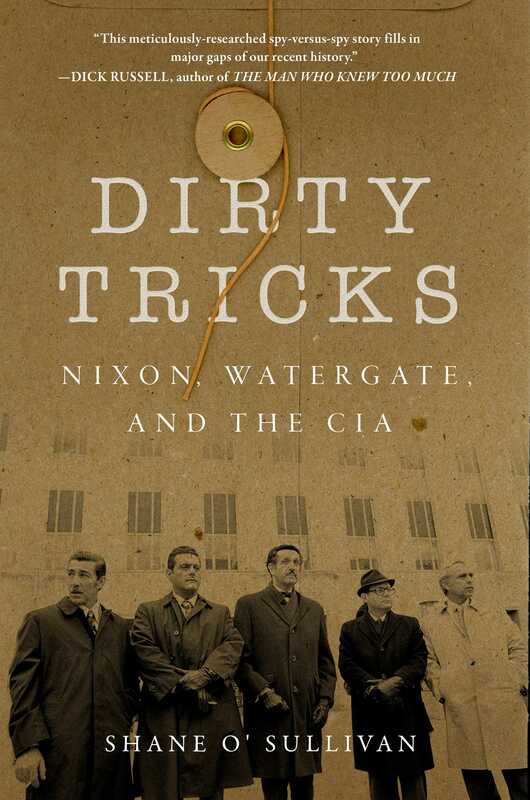 Drawing on newly-declassified files and previously-unpublished documents, Dirty Tricks debunks the myths around Watergate and deepens our understanding of the “dirty tricks” that undermined democracy during the Nixon years and destroyed public trust in politics during the seventies. These scandals turn on the covert action of two powerful interest groups—the senior CIA officers around Helms, and the key advisers around Nixon – in this chilling story of political espionage and deception. Shane O&rsquo;Sullivan is an Irish writer and filmmaker based in London. He holds a PhD in Film Studies from Roehampton University and is the award winning director of three documentaries: RFK Must Die: the Assassination of Bobby Kennedy, Children of the Revolution, and Killing Oswald. His work has been featured on the BBC and Netflix, and at the Interantional Documentary Festival Amsterdam. He is the author of several books, including the forthcoming Dirty Tricks: the Dark Side of Democracy. “While we have fundamental disagreements about 'Watergate' and the Deep State agenda that shaped it, O’Sullivan is to be congratulated on an impeccably researched work of investigative reporting that adds greatly to our understanding of the affair and its mysteries." “Shane O’Sullivan’s new book on Watergate, Dirty Tricks, draws on the millions of records that have become available since 2016, chiefly from the CIA. Anyone interested in comparing that crisis with the present needs to consult the fresh information and perspectives in this well-researched and timely book.